10 slices per 16” round pie, delivered hot and served to your guests for LESS than what you’d pay at the local pizza parlor. Whole pies only; 2 pie minimum order. (Pizza available for parties from 10:00am on-- try our breakfast mini-pastry assortment for a morning party substitute!) 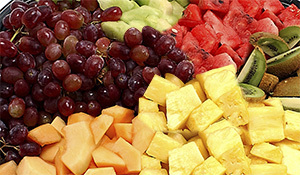 $14.99/EACH $16.99/EACH with 1 topping. 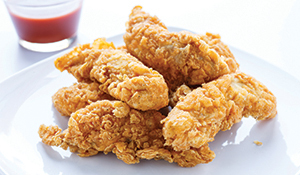 America's #1 party food! 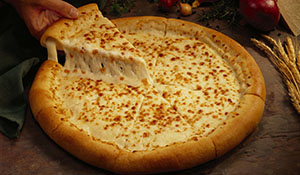 ORDER ANY PLUS OR SPECTACULAR BUNDLE AND PAY ONLY $12 FOR ADDITIONAL CHEESE PIZZAS! For our gluten-sensitive guests. Please note that although our pizza supplier certifies this pizza to be gluten free, our facility serves food items containing gluten and those products may be present in or near your event. 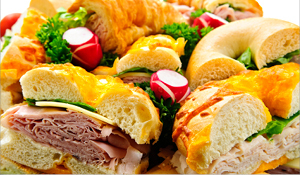 Choose turkey, roast beef, ham, Swiss and American cheese. Adult Food Bundle Deals: SAVE! 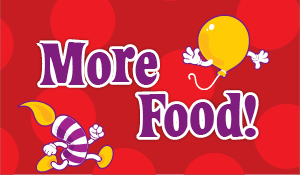 A delicious, affordable way to feed adults accompanying kids attending your party! 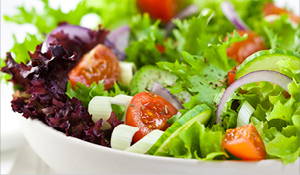 ZITI & SALAD: Small $99.99 (1/2 trays of ziti & garden salad), two 2-liter soft drinks. Serves 10-12. Large (full trays) & four 2-liter bottles. Serves 20-24. 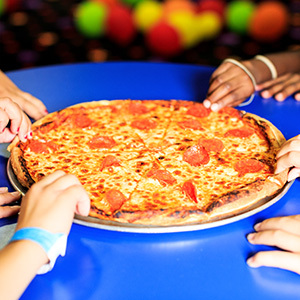 PIZZA & DRINKS: 3 Pizzas and 3 Pitchers of Soda or Lemonade Serves about 15 adults Add a small veggie tray to this bundle and pay only $65.99 total. Perfect for morning parties or anytime! Fresh and delicious. Breakfast Treat Tray: Assorted fruit-filled strudel bites, scones, mini muffins, pound cake and nut bread. 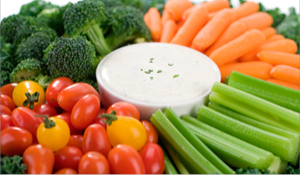 Fresh, delicious and a great side dish for any event. Our cakes are delicious, fresh and convenient! 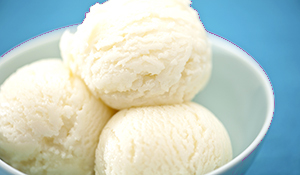 Choose chocolate, vanilla or marble, with vanilla buttercream or whipped cream icing. Fun and convenient! Choose chocolate, vanilla or marble, with vanilla buttercream or whipped cream icing. Our great thirst quenchers are sold by the pitcher or bottle (if noted) only. 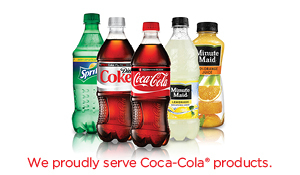 We typically stock cola, diet cola, lemon-lime, and orange soda and lemonade. 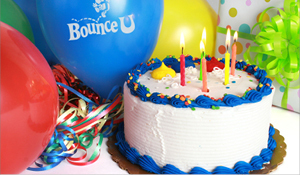 BounceU of Allentown throws the best birthday parties for kids!